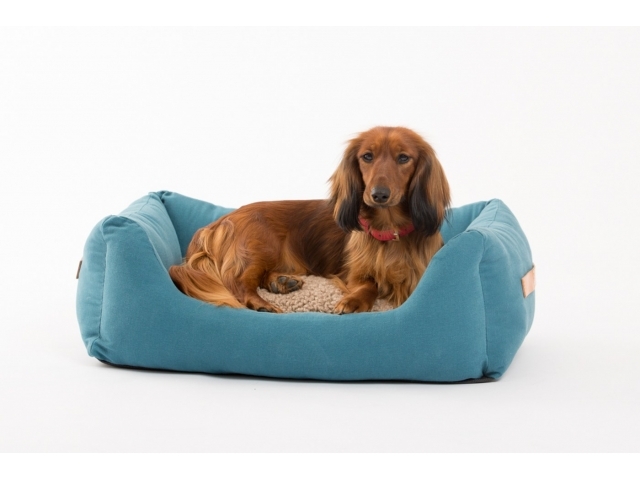 Henri is a comfy dog bed lined with 2.8’s cotton canvas, a 100% natural fabric that is both resistant and soft to the touch. The filling is made of a soft anti-parasitic material, while the inner reversible cushion has one side in bouclé wool and the other one in cotton canvas. The bed comes with an anti-slip coated bottom for ground protection.